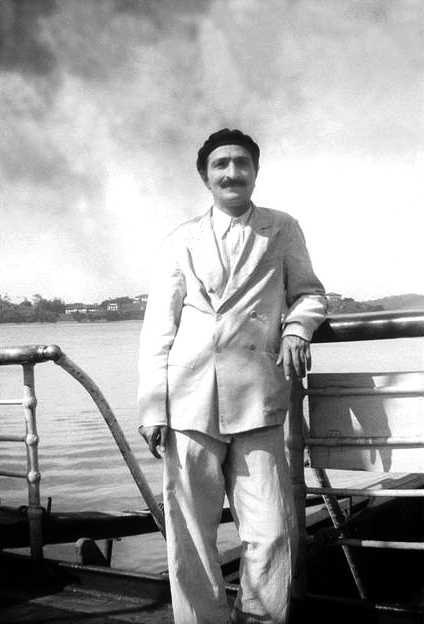 Meher Baba Travels - meherbabatravels jimdo page! This web site is dedicated to Avatar Meher Baba. It illustrates the journeys he made between 1913 through to the 1960's. These travels or journeys follow the Avatar through His latest advent especially outside of India, travelling around the world often incognito. It also features the many ways his followers have expressed their love and admiration in the many varied aspects of literature and the Arts. Please note that on smaller screen devices, the full tab/folder selections found at the top of the web page mighten all be revealed. This is due to the large range of tabs available and the web site software has its limitations. There are currently 29 tabs available, if you cannot see all of them you have a couple of options. View the web site on a large monitor or go to "Site Map" which is located at the very bottom of this page on the left in a very tiny size font and navigate the web site. Enjoy ! The photo at the top of every page is that of Portofino, Italy. One of many places Meher Baba visited.